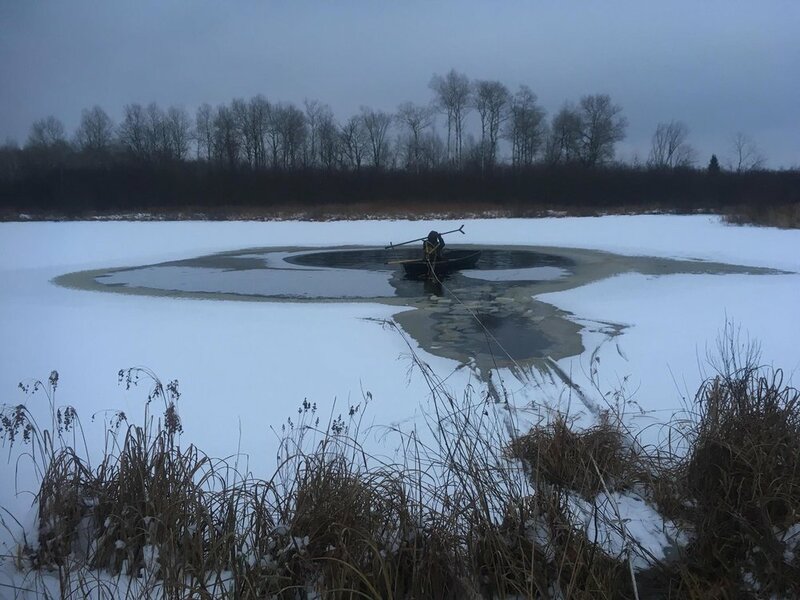 Loon Rescues — Raptor Education Group, Inc.
As a reminder, please do not try this on your own. It is very dangerous and we do not want to encourage anyone to put their lives in danger. Specialized equipment is important. Loon #3 was unable to be rescued today. Our amazing loon rescue team, Kevin and Linda Grenzer will try again when conditions are better. 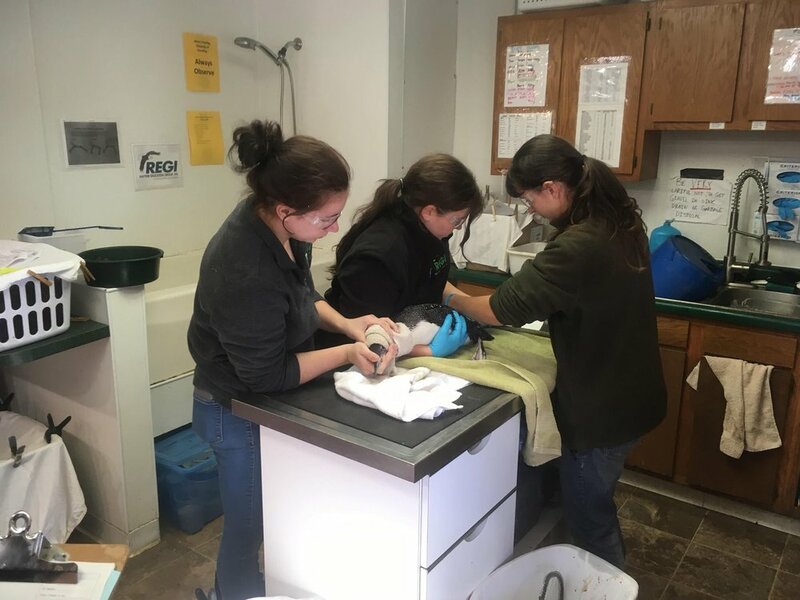 Attached are some photos of the rescue of Loon #1 and admission of Loon #2 at Raptor Education Group Inc. today. The severe weather has been a challenge for many species these past few days. Stay warm everyone, keep your pets protected as well. Linda Kevin Grenzer uses a small boat to pole towards the opening in the lake to rescue a loon that was trapped in the small opening. Linda Grenzer poling toward the small opening to rescue a loon in trouble. 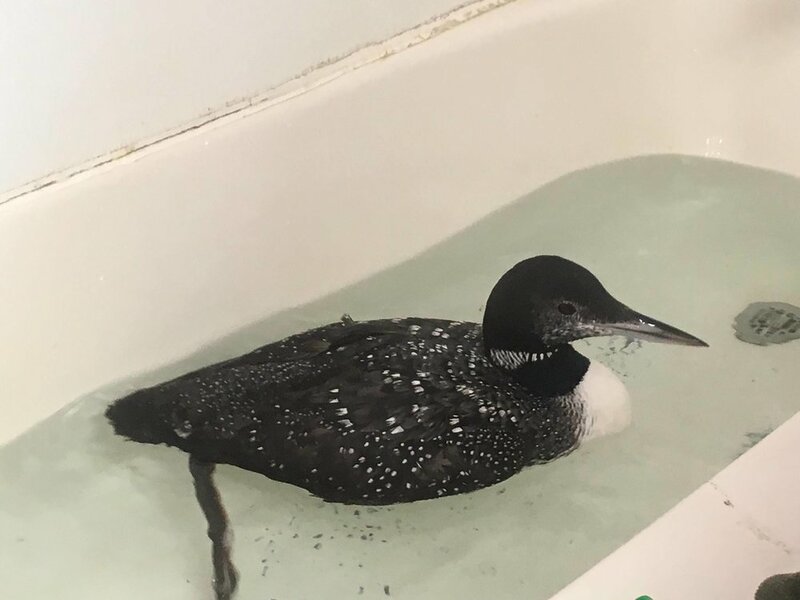 The adult loon is anemic and emaciated. She is currently being evaluated for lead poisoning. Weighing the loons on admission.